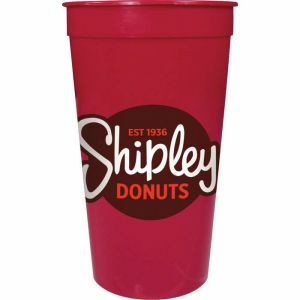 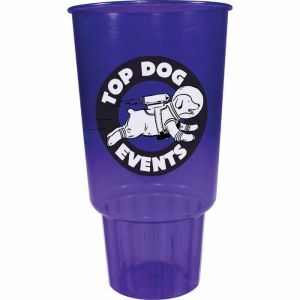 Custom stadium cups are useful for a variety of events and occassions. 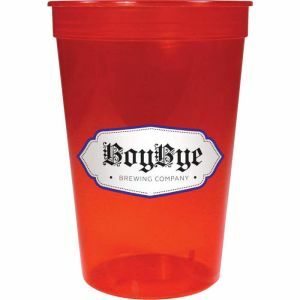 Get personalized stadium cups for a wedding as wedding favors, baby showers, for birthday or graduation parties, or even for parties held on Christmas and Halloween. 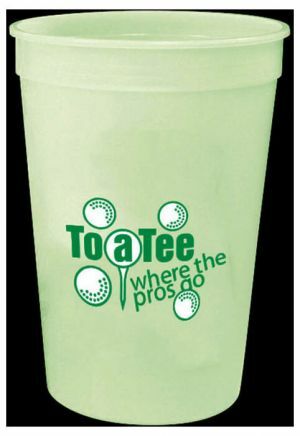 These stadium cups can be customized to make your event a memorable. 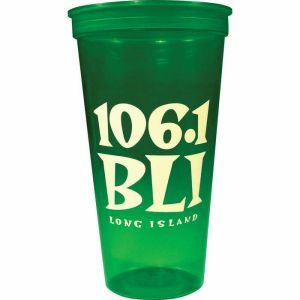 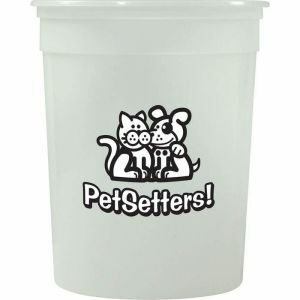 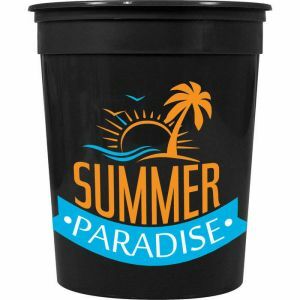 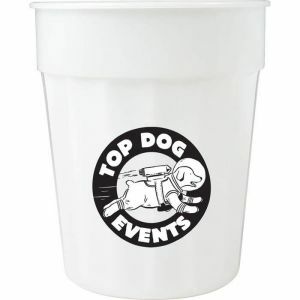 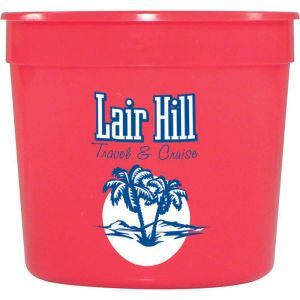 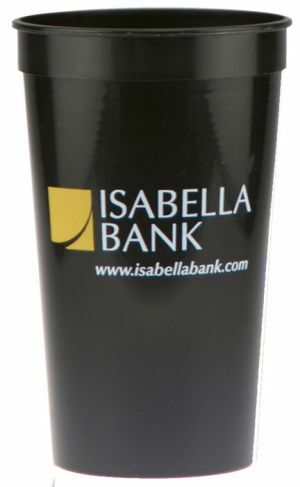 Whether you're looking to imprint a logo or add a quote, any custom designed stadium cup is going to help make your event as unique as you want it to be. 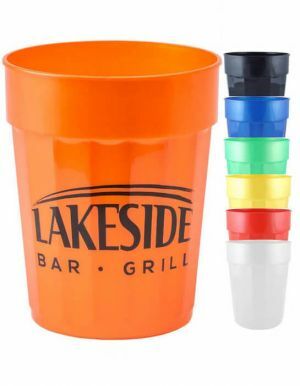 For those on a tight budget, getting cheap custom stadium cups will make a lot of sense. 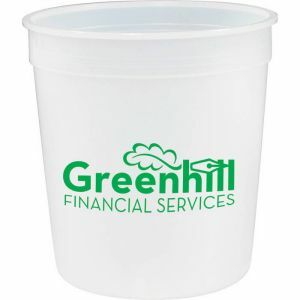 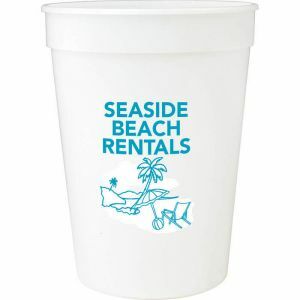 The cost of a wedding and other events can add up quickly, and at Promotion Choice, we realize that, which is why our stadium cups offer a quality product at a cheap price. 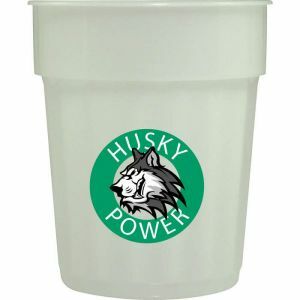 Don't want to customize your stadium cups? 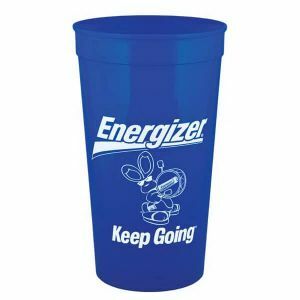 You don't have to. 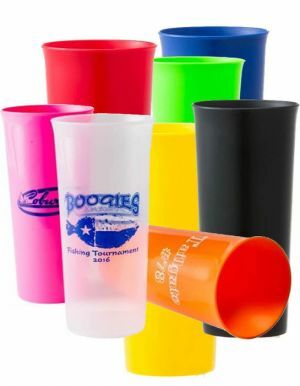 You can buy blank stadium cups for any of our stadium cup products, just choose the color you want for the cups. 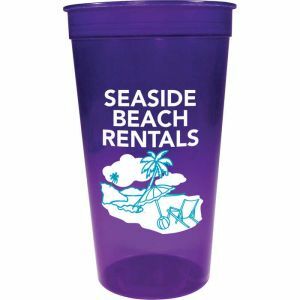 The colors that are available to you include stadium cups that come in black, white, orange, navy blue, royal blue, green, lime green, yellow, clear, burgundy, pink, red, and along with many others. 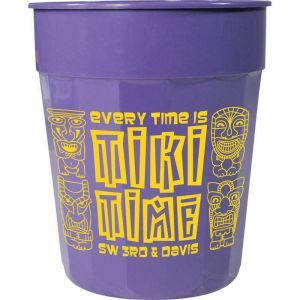 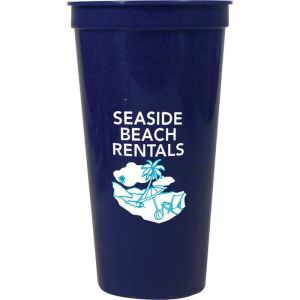 Our 16oz stadium cups for example, has the largest color selection, and close to 20 different colors to choose from. 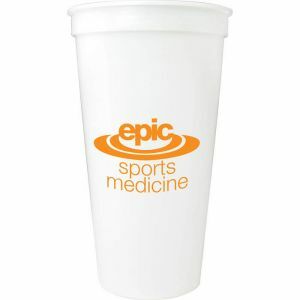 Our custom stadium cups are a staple of our company. 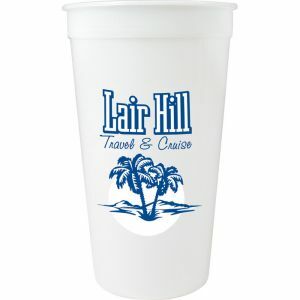 Day after day, customers have called us, asking for imprinted stadium cups that personalized to their design. 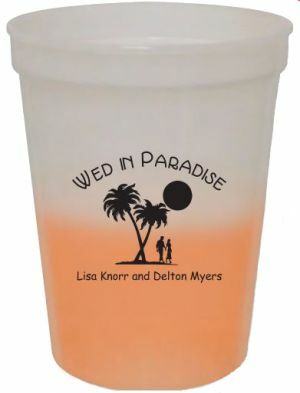 For something even more fancy, check out our personalized mood cups that changes cup color when you add acold beverage to it. 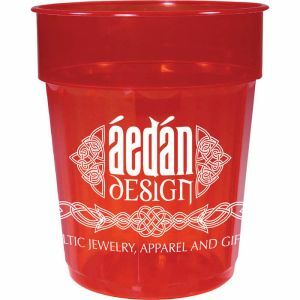 Our wholesale fluted stadium cups with logo have neat lines/ridges along the cups surface for a slightly more substantial feel, and those cups have resonated well with many of our clients. 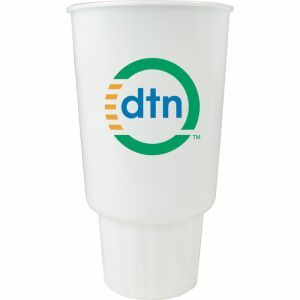 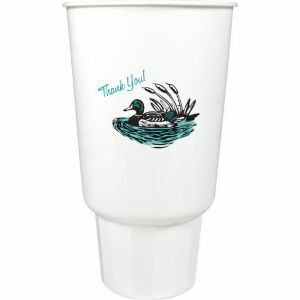 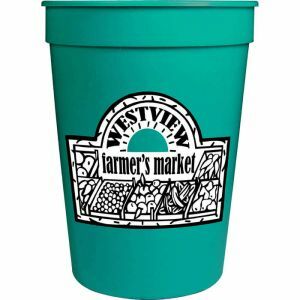 Your customers will surely appreciate these great giveaway imprinted cups and they will stay in their kitchen cabinets for a long time reminding them of your brand. 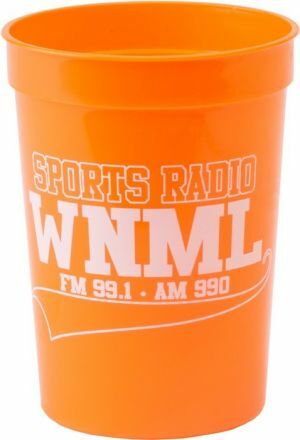 Need stadium cups shipped immediately? 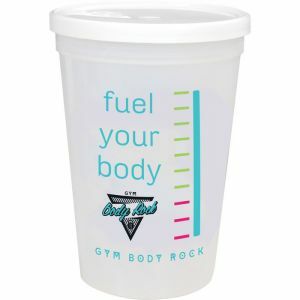 The turnaround times are also super fast - usually ships out the door the next business day. 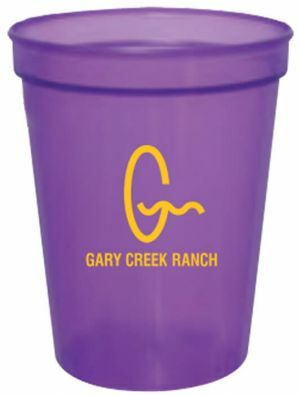 If you have a rush event coming up - please call us! 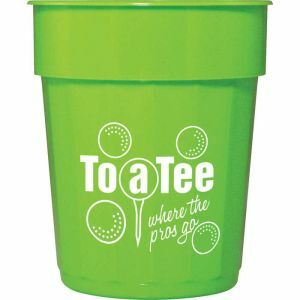 With our "can-do" spirit here at Promotion Choice, our staff members will do everything we can to get your order processed, printed, and delivered to you on time to make your evet a success. 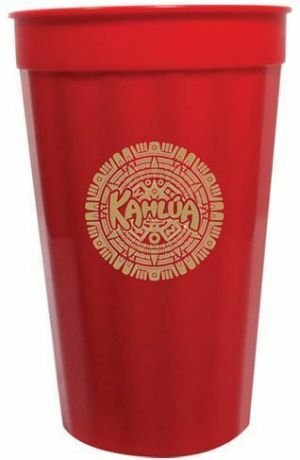 We have made some impossible deadlines happen, so don't underestimate us! 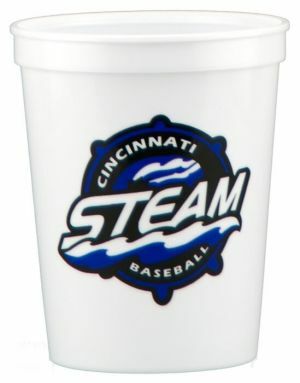 Getting free setup for our custom stadium cups is easy. 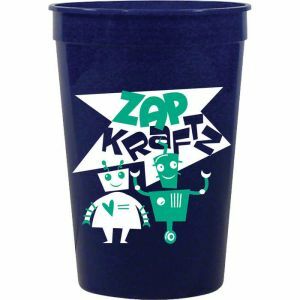 All you have to do to get free setup is order 500 custom stadium cups or more. 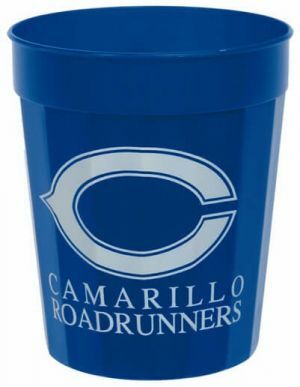 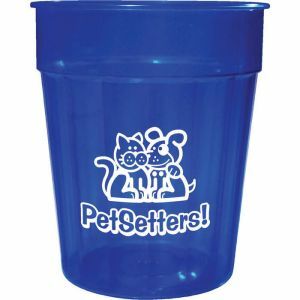 These custom stadium cups are BPA free, and are top rack dishwasher safe (although we cannot guarantee that the print will stay on especially after repeated washings).